The production procedures in every company are different. 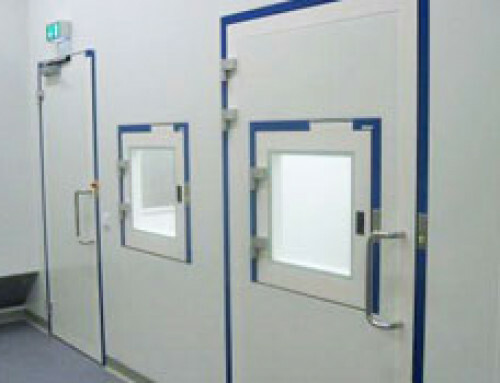 Important is that the interlock control system which ensures the working in clean room conditions can adapt to them. 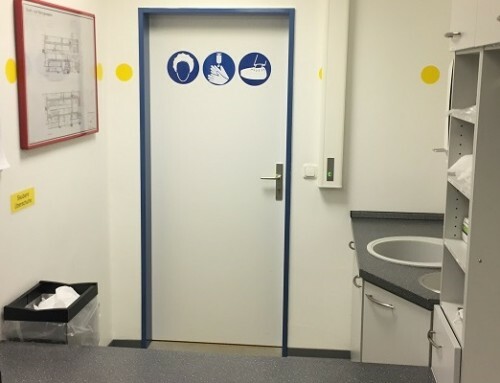 The interlock in a pharmaceutical enterprise with two double-leaf doors is used by people and for material. When people pass through the interlock, it functions normally. The first door is opened, the second door is locked until the first door is closed again. Only then the second door may be opened. 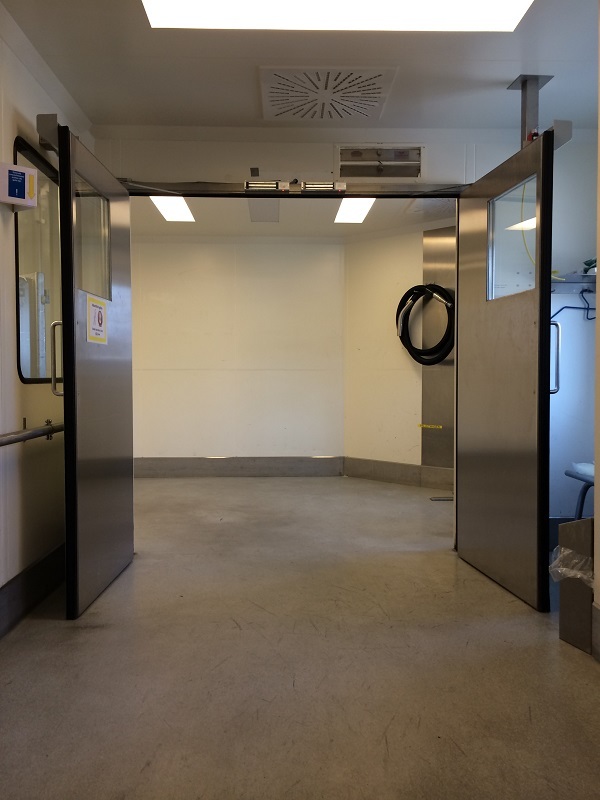 The doors close by means of overhead door closers. They make sure that the second door doesn’t remain open by accident when leaving the interlock system, thus blocking the interlock. 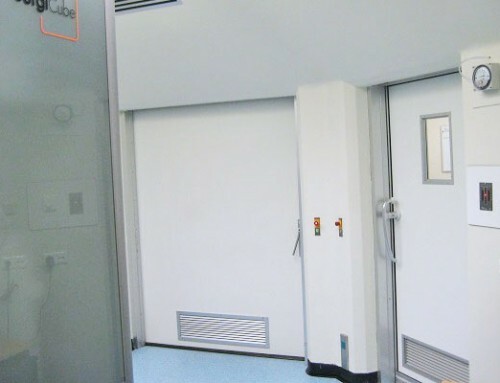 The interlock consists of two double-leaf doors, each with an overhead door closer, to make sure they always close as soon as somebody passed through. 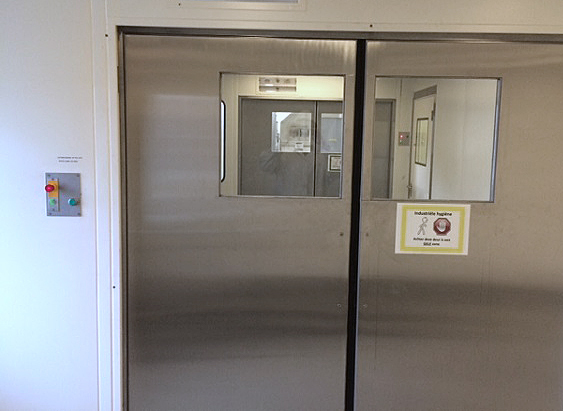 When material is passed through, the doors are kept open by electromagnets. Only when e.g. 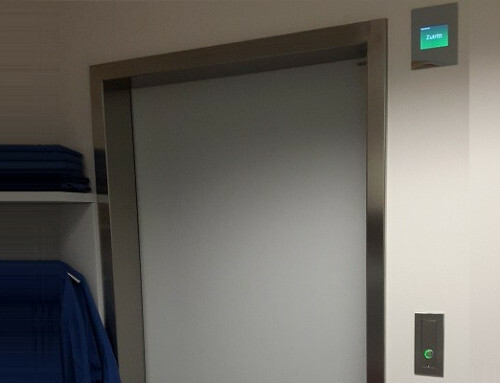 the lift truck has completely passed through the door, the magnets are released by a hand key and the door closes on its own. 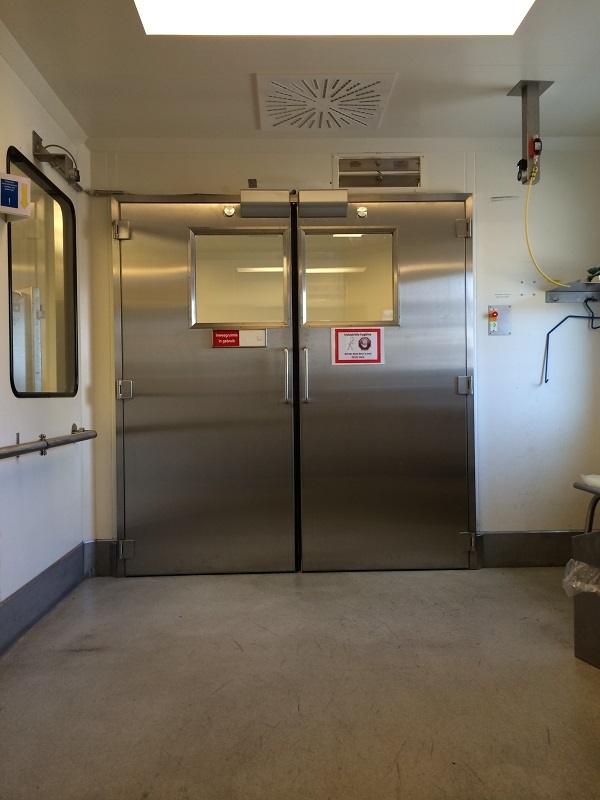 However, when material was transported through the interlock the doors closing on their own represented a problem: the door didn’t remain open long enough to pass through with e.g. a lift truck. Either the doors were damaged or a second person had to hold them open. 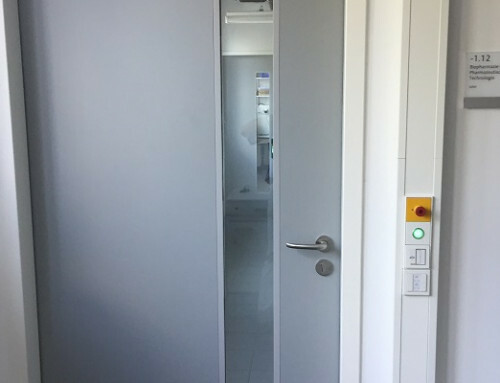 The DICTATOR solution: electromagnets used in hold-open systems for fire doors were installed in the open position of these doors. As one of the door leafs opens to the middle of the room, this magnet was mounted on a bracket fixed to the ceiling. Now the doors (one or both leafs) are opened manually until the counter plate touches the magnet. Now the magnet keeps the doors open until the material transport has passed through. The power supply of the magnets is shortly interrupted with a hand key, the door leaves are free again and can now close by means of the door closers. Until this moment the second door is locked by the interlock control system. And now the interlock is free for the next user. Thanks to the large product range of DICTATOR, the technical customer service easily worked out a simple and efficient solution for the customer. From the outside, a “quite normal” interlock system. The only visible hint of a special function: on the right side of the operating terminal there’s a key which allows to close the doors that were kept open.